I am always trying to find quick ways to get dinner on the table. One of the fastest ways I have found that does not sacrifice flavor is using foil packets. Typically these would be done over a grill but they also work wonderfully in an oven. The first time I made tilapia in foil packets for my family was many years ago. This has become a family tradition because it is flavorful, quick and something we can have often during the Lenten Season. You can also change up the vegetables used and have a completely new meal. My flavor of choice previously was tilapia, lemons, potatoes and various spices. 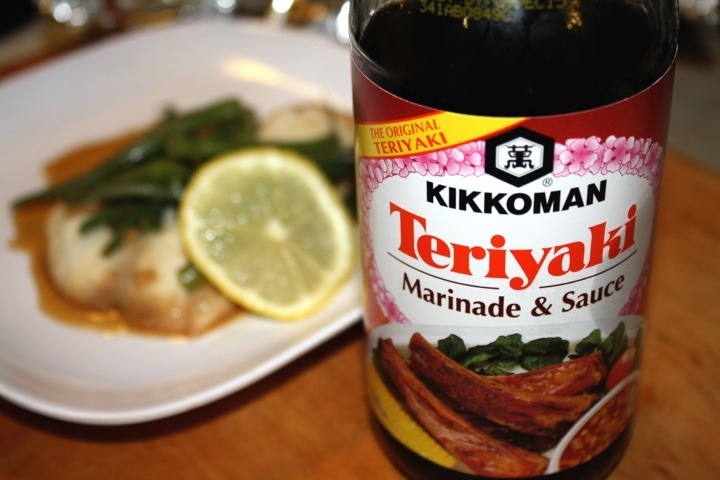 When I partnered with Kikkoman Sabor to kikk up a family recipe, I knew that this dish would work perfectly with Teriyaki sauce. The flavors melded well together and made me want to make it for dinner every night. It was that divine. Some options for using other ingredients with this dish are honey, lemon pepper, Squash, Zucchini, or Brussel Sprouts – just to name a few. Once you give this a try and see that you can achieve great flavor in under 30 minutes, I am positive you will make this a regular in your home for your family. And not just during Lent. In a small bowl, mix together Teriyaki sauce, minced ginger and minced garlic. Stir together until combined. 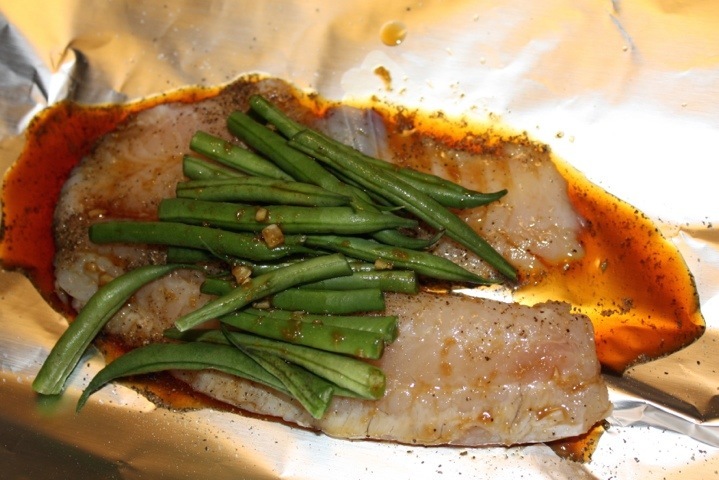 Place a thick piece of aluminum foil on a cookie sheet for each piece of tilapia. Add tilapia pieces to the foil. Add a spoonful of the sauce over the tilapia. 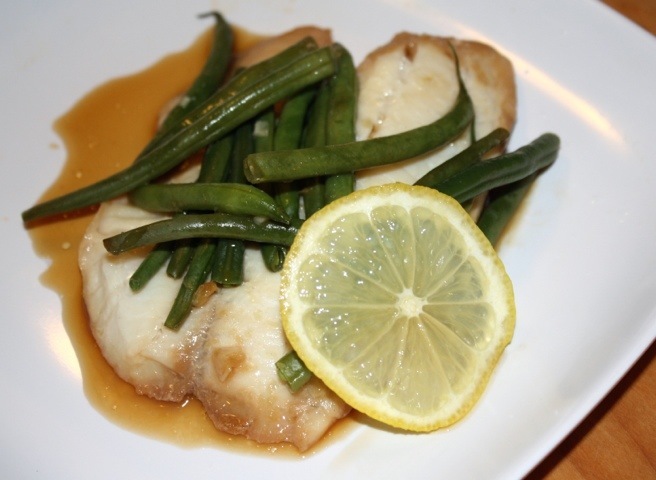 Spread green beans over the tilapia. Drizzle a spoonful of the sauce over the green beans. 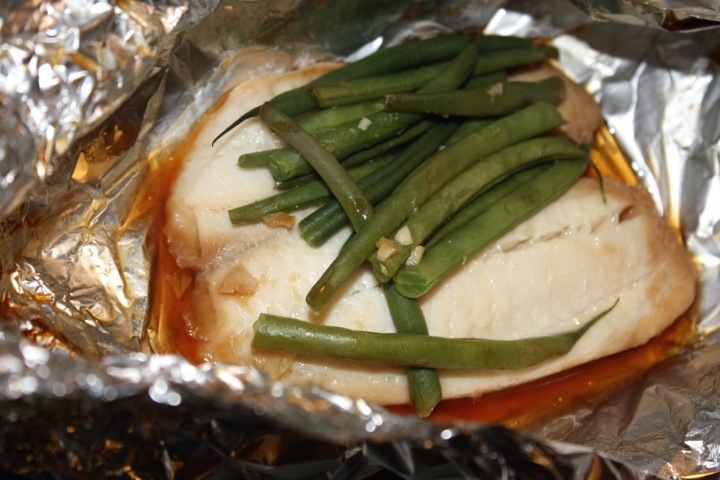 Seal the foil by bringing the long pieces up over the tilapia and folding over. Fold the ends up to form a packet. 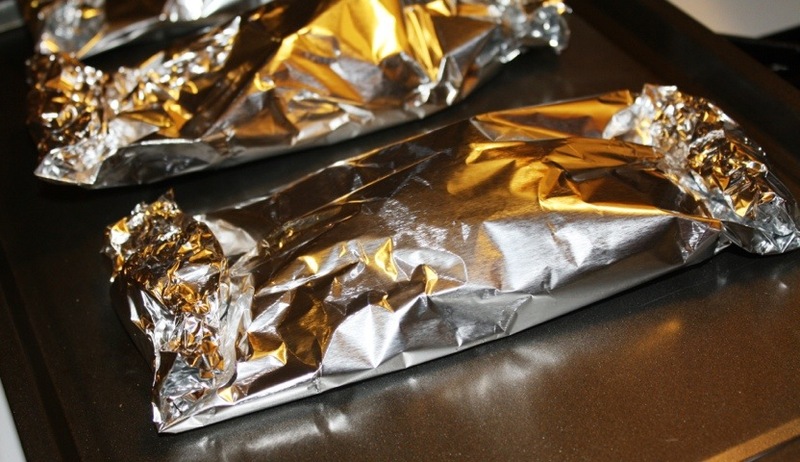 Place the cookie sheet with the foil packets in the oven. Bake for 20-22 minutes. Take the packets out of the oven and let set for 5 minutes. Plate the fish and green beans. Squeeze fresh lemon juice onto the fish. Garnish with a slice of lemon. 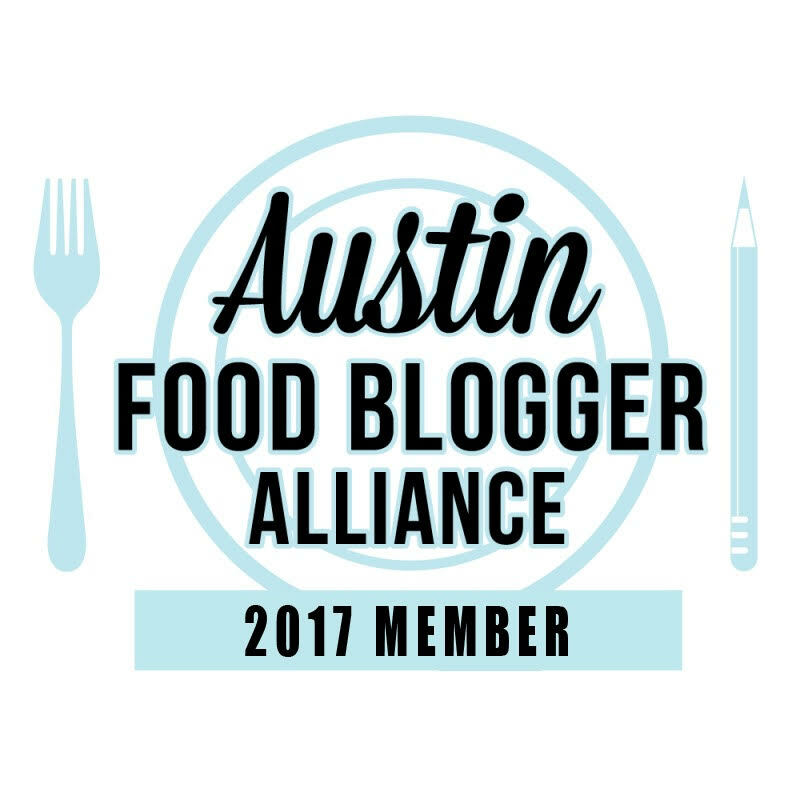 This post is sponsored in collaboration with Latina Bloggers Connect and Kikkoman. Be sure and visit Kikkoman Sabor for some great recipes for your family. I'm going to try this for the family on Friday. It looks delicious! Looks yummy! I'm going to try this! Thanks! You're going to love it!